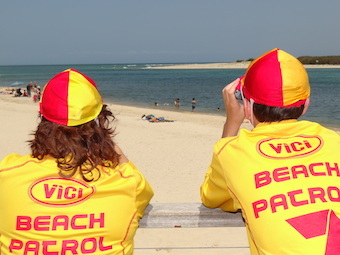 Club Membership is open for application from any person (over 6 years old), that is able to assist the Club in its goals, which are primarily patrolling our designated beach (Bulcock Beach, Caloundra), and educating members and the public in water safety and life saving techniques. The Club is not affiliated with Surf Life Saving Australia (SLSA), and is independant of SLSA, being affiliated with The Royal Life Saving Society of Qld Inc. Whilst our operations, training and manuals are very similar (in many cases almost identical), the Club operates under The 'Royal Life Saving' umbrela and qualification framework. The Club is relatively small in size having approximately 40 senior members, 40 junior members, and 40 social members (which varies from season to season), however we are well equiped and friendly. The core of Club membership is either young members (6 to 16 years), or members aged over 30 years. 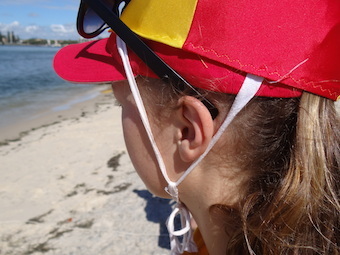 Members of Surf Life Saving Clubs may join (and do not normally need to obtain permission from their Surf Club), and in most cases the Club will recognise SLSA qualifications. The Club is vary active in pool life saving competitions, in particular members compete at the Royal Life Saving State and National Championships, also members of the Club compete at the World Life Saving Championships conducted by ILS, and have won medals at most events over the last 15 years. If you are interested in joining, or would like more information about the Club, please contact the Club Club Captain (refer to the Contact Us page). The Club issues a number of awards to its members each season, the following list details reciepients of perpetual awards. Donated by Joe Venning, for continued outstanding contribution at pool training. Donated by Brian Davis MLA, for continued outstanding contribution at coast/patrolling activities. The Mark McArdle Trophy, for best performing Senior Member of the Club. Donated by Helen Morris, for overall Club encouragement. Donated by friends of the late Darrelle Renew (nee Stubbs), Club Captain from 1967 to 1969. The member who has raised the most funds for the Club during the season. The 'rookie' member who has contributed the most to the Club during the season. Donated by the McClelland Family, for most number of patrol hours for a Cadet Lifeguard. For demonstrating a high level of Life Saving Skills. For improving Life Saving Skills. The Mark McArdle Trophy, for best performing Junior Member of the Club.